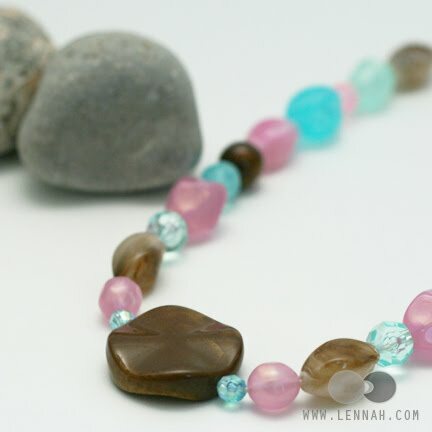 A few days ago I shared my thoughts on these nursing necklaces and the very kind people at Lennah Designs would like to give you a chance to WIN the very same necklace I reviewed. An Emma necklace in 32″ with a pie pennant. You MUST do these two things (in ONE comment) before you can get extra entries! 2. Visit (Lennah Designs) and tell use which necklace you like the best and why. A HUGE thank you to Stela at Lennah Designs for sponsoring this giveaway. And thank you all for joining. * Disclaimer / Disclosure: I received a free sample to facilitate my review. This post reflects my personal opinion and experience with the product which may differ from yours. Product information courtesy of the sponsor. No monetary compensation was provided for this post. ** USA & CANADA ONLY!! !